Note: Before you begin to assemble the Turbo-Rail fall protection railing, it is important to read all safety warnings and information in the Garlock Turbo-Rail Operator’s Instruction Manual carefully. The Garlock Turbo-Rail fall protection railing system creates a sturdy perimeter that prevents accidents while working near roof edges. 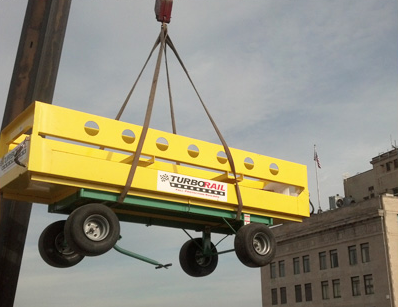 The Turbo-Rail is OSHA-compliant and does not need to be bolted to the roof deck. The following instructions will walk you through how to install a Garlock Turbo-Rail fall protection railing system to a parapet wall. These instructions were written using information from the Turbo-Rail manual and from Hy-Tech professionals. 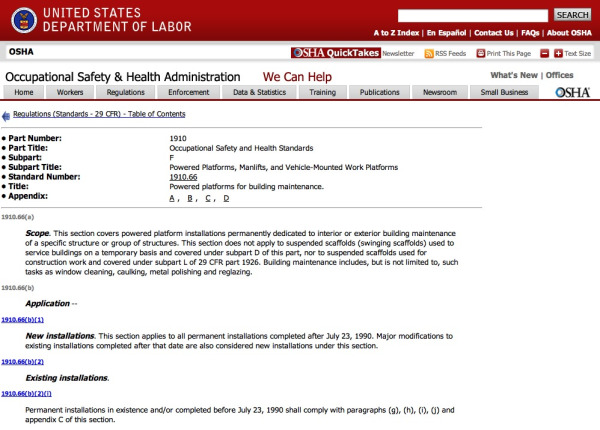 To keep roofing crews safe, all roofing job sites must have a fall protection railing in place. 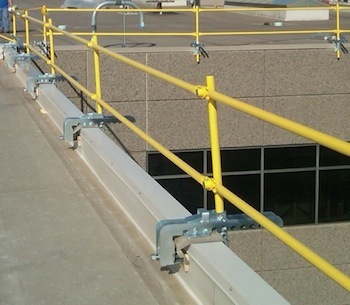 The Garlock Turbo-Rail fall protection railing provides comprehensive, OSHA-approved protection around the entire perimeter of a roof edge. 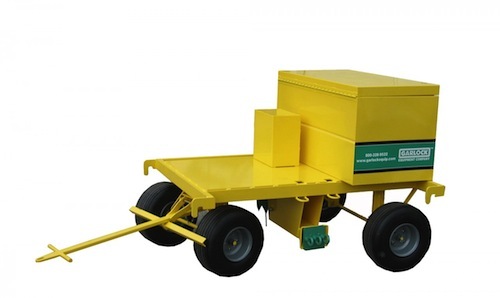 It installs quickly and easily by clamping on to a parapet or slab floor. In this post, we’ll look at how to prepare the Garlock Turbo-Rail for transport and hoisting to your roof deck. If you need instructions on how to install the Turbo-Rail along a roof edge, check out these assembly instructions for the Garlock Turbo-Rail Fall Protection System. 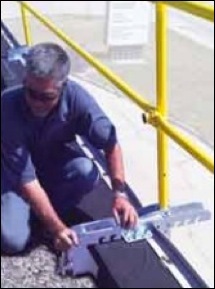 The Garlock Life-Link Cart is a roofing fall protection system for up to 3 contractors working at or near a roof edge. It is only intended for work performed on flat, level roofs with a maximum pitch of 0.5 in. over 12 in. (0.5:12). 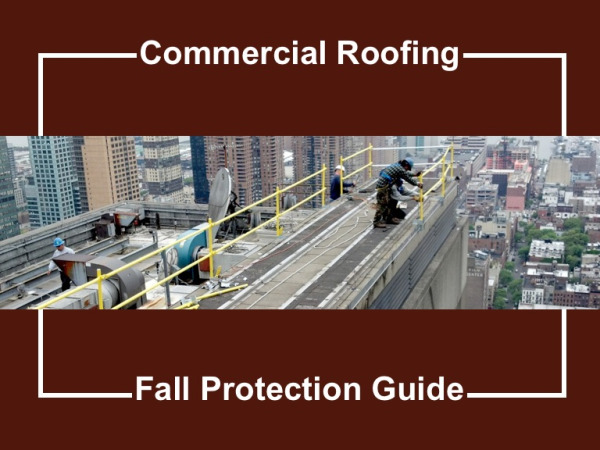 In-depth look at commercial roofing OSHA regulations and the fall protection equipment needed to stay safe and compliant. In the construction industry, falls are the number one cause of death—killing on average 150 to 200 people each year. Most of these falls occur from scaffolds and roofs. Just as you would invest in a roof cutter to improve the efficiency and effectiveness of tear-off projects, an investment in the right fall protection system keeps contractors safe while improving efficiency, preserving roofing substrates and maintaining a professional, clean job site.